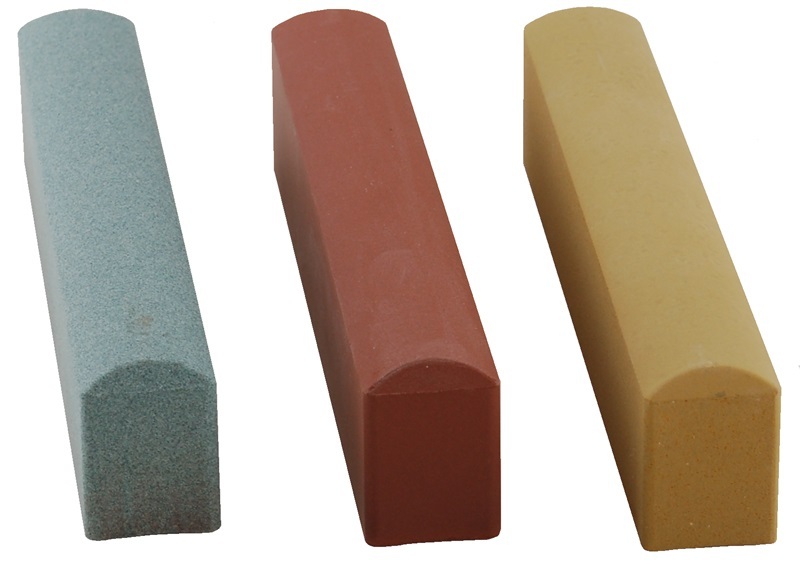 Water Stones have become a favorite of sharpeners in search of the best edges. 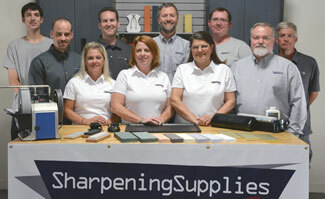 But previously, sharpeners working with curved edges like those found on pruning shears, florist's and grafting knives, and hawksbill knives have had to work mostly with flat stones, and anyone who has tried to sharpen a concave curve on a flat stone can attest to the difficulty that presents. The Gouken Curved Water Stone neatly solves that problem. These stones feature a long, narrow shape with one edge shaped to a convex curvature, and another to a concave. Whether your knife, shears or carving tool has an inside or an outside curve, these water stones fit the bill. At 5-1/4" (133mm) x 1-3/16" (30mm) x 3/4" (20mm), the Gouken Curved Water Stone fits comfortably in the hand, and will work with a wide variety of different blades. Buy them individually, or get all three grits and save. The Gouken Curved Water Stone should be soaked until saturated prior to use. Generally, this takes several minutes, but the exact time may vary. Look for a trail of bubbles when you submerge the stone. When the bubbles stop or significantly slow, the stone is saturated and ready to use. These stones should not be stored long term in water, and should be allowed to air dry between uses.